Soleil, that is her new name. It means the Sun. This was the soulful picture that hit the web. It killed every person that saw it. Released from the shelter that rescued her, her new life will begin. She is safe now and is on her way to a new life. She will be seen this morning by vets and then be on her journey to a new life and a new home. What she needs mostly is a lot of love, food and to rebuild trust. This picture will always be embedded in the minds of those that rescue. Whoever took this picture captured a great moment in the life of a shelter dog. 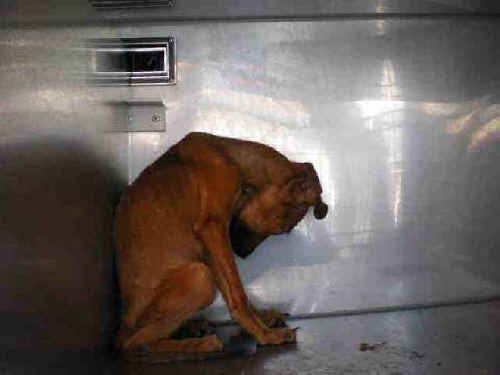 This embodies all the dogs in any shelter, the loss of hope. We must work hard to give them hope and life.